..that is the question! 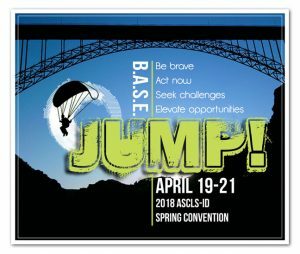 Registration for the 2018 ASCLS-Idaho JUMP! Convention is now open…whether you choose to register online or stick a stamp on it we are ready for you! We have a great convention lined-up and it is sure to be quite the adventure. Find out all the details HERE.